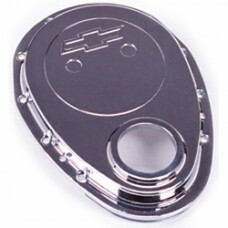 This rigid GM timing cover is made from die cast aluminium. Supplied with separate GM production oil seal and features the Bow Tie emblem directly cast into the upper surface. Fits 1969-1991 (and later) Small Block Chevrolet using bolt on timing pointer.